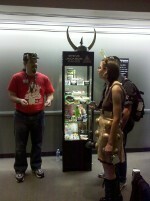 If you were at PAX Prime, you saw our awesome new display cabinets. Of course, if you weren't us, it was the contents of said cabinets that occupied your brainspace. 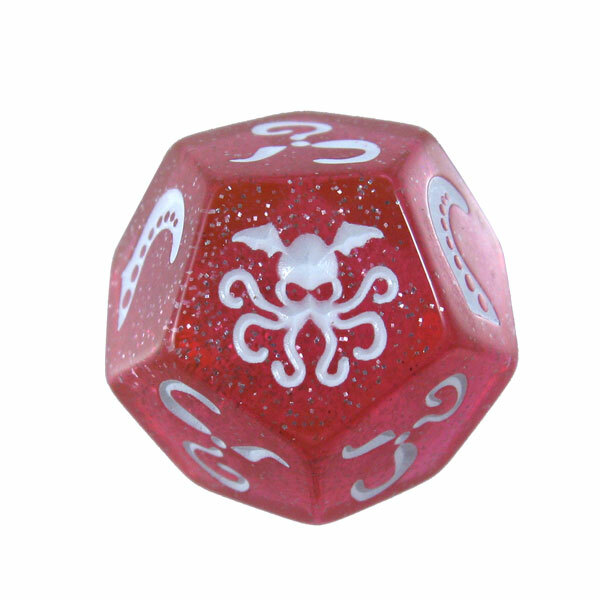 You may have noticed the Munchkin Fairy Dust Dice sample, or you may have been distracted by the Zombie Chibithulhu. Phil's camera didn't capture the "sparkly" in the Sparkly Pink Cthulhu Dice, but considering he's using a device branded "Blackberry" instead of "Canon" or something similarly recognizable as a manufacturer of image-capturing machinery, I think we can cut him some slack. A much better picture can be found here. Besides the cover to Munchkin The Guild, we also announced Munchkin Zombies Meat Lockers, sturdy card boxes in the same vein as Munchkin Cthulhu Crypts of Concealment and Munchkin Boxes of Holding (which, by the way, will have a second printing available to retailers in time for the holidays).